After a whole weekend of rest, you still feel like you didn't get enough sleep? Can't wake up in the morning? Can't get through the day? Perhaps even wired at night? Feel extremely tired and overwhelmed? These could all be signs of adrenal fatigue. The adrenal glands' (you have 2, one attached to each kidney) job is to produce certain hormones, like adrenaline and cortisol, that respond to stressors and run from tigers. They also produce precursors to reproductive hormones. Yet when the adrenal glands are overly taxed, tired, or seriously fatigued, they come out with the wrong hormones at the wrong times. Why? In our modern society, the way that we live and eat constantly tells the adrenals there is something to run from or there is something to be scared of. They come out with hormones… but not the right ones at the right times. Most conventional doctors don't recognize adrenal fatigue as an actual thing. They don't see any issues with the adrenals until they absolutely stop working. If you're just tired all of the time, they're not usually going to look at the adrenal glands. On the other hand, most holistic doctors and herbalists do consider adrenal fatigue as your adrenal glands being simply tired– and worth addressing before the adrenal fatigue gets worse. My friend Donielle Baker has been there and she joined me for this podcast to talk more about what adrenal fatigue is, what's going on, and most importantly — simple steps for overcoming adrenal fatigue. If you are or have been through this, we dearly look forward to hearing from you in the comments. Don't have time to listen? The complete transcript is below, too. Wardee: Hey everyone, welcome to Know Your Food with Wardee Podcast. Hi Donielle. Donielle: Hi, glad to be here. Wardee: Me, too. Everyone, Donielle is my special guest. We are going to be talking about overcoming adrenal fatigue. Let me just do a couple housekeeping notes before we launch into it. This is Know Your Food with Wardee, Episode 171. The show notes are at KnowYourFoodpPodcast.com/171. That's where you'll find links and more to everything we have mentioned, including a transcript and if you are listening to this in your earbuds, you will find the video. If you are watching the video, you will find the audio version. That's where you head for the hub for everything to backup and alternate versions of what we are talking about, the KnowYourFoodPodcast.com/171. We are talking about adrenal fatigue, overcoming it. This question actually came in from one of our members at Traditional Cooking School, L.J., call her L.J. She is asking for guidance on adrenal fatigue and healing from it. I myself am not experienced in the matter. 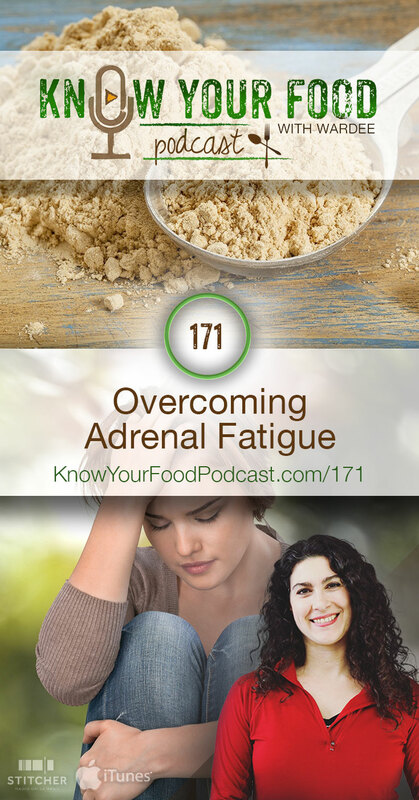 I am a really good cook, but I don't know a lot about adrenal fatigue. You may know that Millie assists me at Traditional Cooking School with tons of stuff and so I was like, “Millie, who do we know that can help out with this topic?” She said, “How about Donielle?” and I said, “That's right, Donielle.” Actually, I think we both thought of Donielle independently, so it was a good confirmation that Donielle was going to be the one to guide us on this topic. Here is a little bit about what L.J. said. She has had emotional trauma during childhood, poor diet, weight gain for decades, 4 children born within 4 years and a lot of stress in her day-to-day life, so she thinks her adrenals are just in poor, poor shape. She is tired all day. She goes to bed wired. She cannot seem to lose weight, despite trying to improve her diet and she is one of our most devoted Traditional Cooking Schools members, so I know this for a fact. She struggles to control her sugar and fast food cravings and her memory is awful and she experiences brain fog a lot of the time, so she was asking for information on how to heal from adrenal fatigue. Obviously, food plays a big part and we will talk about other things as well. That's setting the stage for how Donielle is going to help us today. Let me tell you a little bit about Donielle. This is from her website, Natural Fertility and Wellness, so I'm just reading a little bit from her about page. 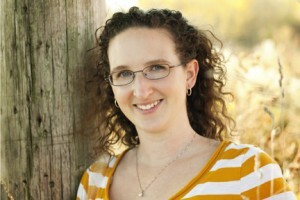 You can head to Naturalfertilityandwellness.com and go to the about page to learn more about Donielle and dig further in addition to what we are talking about today. Donielle believes that so much more can be done to better our reproductive health. For many of us women, it has to do with conceiving and carrying healthy babies or after work. Donielle was once quite happy and comfortable, living a very conventional life like many of us, but she began to look at things differently when she had to stare fertility challenges right in the face. A side note here, not all of us have had fertility challenges, but I do believe that health crisis, in all kinds of shapes and forms and that those are the things that make many of us, like Donielle, begin to look at things differently. Donielle believes food is the foundation for health and fertility and alternative therapies can be just as or more effective than conventional medical treatments. She is an advocate for natural living. She does what she can to put toxins out of her own home and environment. She's very passionate about real and whole foods because she believes it's the key to our fertility and the future health of our children. You may remember Donielle as my guest on way back Know Your Food with Wardee, Episode 8 because she is the author of the book “Naturally Knocked Up.” She was my guest to talk about that book and her fertility story. I don't think we are going to cover a lot of the same ground today, so if you are interested more in depth upon fertility in particular that's a great episode for you to catch up on if you have not already listened. That's Knowyourfoodpodcast.com/8. I think I have said enough. I need to turn it over to Donielle. Welcome Donielle and why don't you say hi and just give us your story in a nutshell, your hormone story and lead into why adrenal fatigue and healing adrenal fatigue, why that's so relevant today. Donielle: Thanks so much, Wardee, before having me on it today. This is a topic that I am passionate about, especially after having dealt with infertility. My story started back probably over 10 years ago now when my husband and I started thinking about having a family. Before then I knew my hormones were off. I had been diagnosed with PCOS or Polycystic Ovary Syndrome. I did not ovulate. Basically, the doctors just said, “Well, if you can't get pregnant, we would just put you on medication.” At that point I was basically all for medication. I had no idea what else I could do to increase my fertility. At that time I actually started Googling different things, trying to find different things that I could do and did not come up with much. We actually ended up conceiving our first right before, literally weeks before I called my doctor for medication. I completely overhauled my diet and was in probably I would say about six to eight months I went from ovulating maybe once a year, which definitely signals some of major hormone issues going on, to ovulating every four weeks for the first time in my life. It was then that I realized that the food is so important. It can heal the things that we can't even see when we give our bodies the nutrients that it needs. Fast forward a few years after our second, I had already started my blog. I was really busy. We had two small kids. I was involved with so many things outside of the home. I was trying to promote my blog, write an e-course. I was doing all of these things and I started to wear out a lot and I got to the point where I could not sleep at night. During the day I was completely dragging, so I worked with a chiropractor friend of mine and we got my adrenals back in shape and I started feeling a lot better. At that point I would probably consider that more mild adrenal fatigue because it only took a couple of months for me to start to feel better. Finally, after I started to feel better about six months later we got pregnant and then miscarried. That pretty much threw me into major adrenal fatigue for about 2 years. The first year I kept thinking, “OK, I'm eating right. I'm trying to get sleep. My body would just figure itself out. We would just keep eating the way we have been and things will get better pay.” It just did not get better and did not get better. It was really a turning point where I had to put myself first and focus on myself, instead of … Granted everyone else came along with that because what I was doing was healthy for everyone, but I had to really focus on me instead of every little, tiny thing and dietary change that we had been doing for our kids. It took a good probably six months to really start feeling better. Even now I have to pay attention to those small clues that my adrenals are getting a little too stressed out and it's something I have to be very careful about. Hopefully one day, maybe I won't, but for right now in our state of life at this moment, I have to keep it at the forefront to make sure that I don't wear myself out too quickly. Wardee: Yes, you are juggling a lot and I know so many moms are juggling a lot and we tend to not put ourselves first. You have to be very intentional to pay attention to those clues that you are wearing out so you can say, “Hang on, we could steer this in another direction.” Let's back up. What a wonderful story and let's start covering this topic with some basics so that we all have a good understanding of adrenal fatigue. We have mentioned it. We have mentioned the adrenal glands. We have mentioned some things that are part of it, but let's do a definition so everybody understands what is adrenal fatigue. Donielle: It almost depends on who you talk to because most conventional doctors do not recognize adrenal fatigue as an actual thing. They don't see any issues with the adrenals until they absolutely stop working. Just being tired all of the time, they usually don't even look at the adrenals. Most holistic doctors and herbalists basically consider adrenal fatigue as your adrenal glands being tired. They have been overworked. They have been responding to so much stress in the system that they can no longer keep up and so it leaves people feeling extremely exhausted. It's that they cannot wake up in the morning. They cannot get through the day. They feel extremely overwhelmed. Your adrenals produce hormones and they are in communication with the brain. It's when all of those signals get crossed and they just cannot get back on track. Wardee: Now I'm going to ask an indirect question, but the adrenal glands produce certain hormones. People talk about worn out, completely shot. Are they popping out too much of the hormones because of the stress and so then they are depleted of nutrients? What is it that makes it so they are worn out? Donielle: Basically, what the adrenal's job is is to produce certain hormones that help us like run from tigers, which we no longer need to do, but they produce adrenaline and cortisol. They also produce precursors to reproductive hormones like pregnenolone. That is the precursor to both cortisol and progesterone, though that's often why women who are very stressed out are low in progesterone because their body is using it to make cortisol to help deal with it that stress instead. It's basically our modern society and the way that we live and the way that we eat constantly tells the adrenals there is something to run from, there is something to be scared of. It comes out hormones, a lot of times at the wrong time. Some people dealing with adrenal fatigue find that their body does not produce much cortisol in the morning, but then all of a sudden 10:00, 11:00 at night, it pumps up cortisol production and then they are awake all night or they deal with insomnia and it's just as horrible cycle that repeats. It's almost like the circadian rhythm for the adrenals gets off and it's almost backwards. There is a lot of science behind it and Chris Kresser is actually great at discussing all the little idiosyncrasies of the adrenals and what hormones basically cascade into other ones and how that has to work and how that gets off per se. Basically, they are just doing the wrong thing at the wrong time or they are sending out too much adrenaline and they get stuck in that fight or flight mode and they just push out adrenaline and then they have to use the cortisol to take care of that. One reason why people put on weight is because they start getting too much cortisol and it's this huge cascading effect and all of a sudden you end up tired and overweight and you can't do anything. Wardee: Especially with the cortisol thing, if somebody's cortisol is backward so it's low in the morning, high at night, then they are not sleeping so then their body is not getting rest. It seems to me it would be this vicious cycle of you can't rest and heal, so that's really hard to recover from. Donielle: It is because you are awake at night so you are not getting at least 6, preferably 8 hours of sleep at night for your body to rest and repair. At night is when our bodies naturally ramp up the detoxifying process, though our bodies are not detoxifying the way that they should and things are not healing the way they should. It just becomes this horrible cycle where in each person they can have a multitude of different symptoms that can look like other things. A lot of it just goes back to not getting to sleep that they need. Wardee: That's a great way to set it up. Shockingly, I did not know this. A lot of times doctors don't recognize or treat it or even test for it when somebody says they are tired … Or I would say conventional doctors, maybe I shouldn't be surprised. I tend to assume the best. Somebody is tired. Our member L.J., who wrote in, and probably so many other moms out there are tired. Tired is one thing. Adrenal fatigue is another, mild, moderate, high adrenal fatigue. I assume there are different levels. How do you go about finding out if your adrenals are fatigue may you be to change course and address that? Are there tests? Are there indicators that you can ask yourself or test yourself, symptom-less? What would you say? Donielle: I would say if you are feeling tired and exhausted and a good weekend of extra sleep is not helpful, you can just feel so tired, but a mid-day nap makes you feel a million times better and then you can just go on with your life. It's normal to feel tired after a stressful event or a busy couple of weeks, but if your body is not moving past that it's time to start looking into adrenal issues and extra adrenal support. There are tests that doctors can do. My conventional MD laughed at me when I mentioned the cortisol-saliva test. He basically said it was just a waste of money and it wasn't going to show anything and that was the one test that solidified my adrenal issues for me. What it is is it's a cortisol-saliva test. You can actually order it yourself on Amazon and send it in. It's $125. Or you can have your holistic practitioner, as long as they are like a [inaudible 00:18:38] or some type of MD can actually order that. They can order it as well. Basically, what you do is they send you four vials and you spit in them four times a day. It's usually 6am, noon, 4pm and then 10pm at night. The times are all listed on the test. When you send it back it will tell you what your cortisol levels are for each part of that state. It's not perfect. There are a lot of people that say, “Well, it's not the best way to do it, via saliva,” but from everyone that I have talked to it has been helpful, so it's something to look at into at least. It will also tell you how, I hate to use the word bad, but how bad off your adrenals actually are. If you are getting a cortisol spike at night instead of in the morning, you know you are in that moderate adrenal fatigue area. My test came back, my cortisol was pretty much level the entire day, so I never, ever saw a spike in cortisol or energy at all. That just put me over into the major adrenal fatigue arena. Once you know what's going on with your adrenals, you can better look at exactly what you need to do to try and get on that path to healing. Another thing that helped me as well, there's a book called “Adrenal Fatigue: The 21st Century Stress Syndrome” I forget what the subtitle is. It was by Dr. James Wilson. That one is really good and it also has a test in the book, so you can actually go through and you give yourself a marker number for each thing. When you are done you add them all up and it tells you where you are on the adrenal fatigue spectrum. That matched up with my cortisol test completely. It was a really long, multi-choice test about when is the last time you felt good? How are you feeling now? They go through all the symptoms before and now. That was really helpful as well. For people who cannot afford the saliva test, simply taking the adrenal test that he has in his book, which you can order on Amazon or get it from a local library. That can help guide people as well to see exactly where their adrenals might be just based on a questionnaire … Go ahead. Wardee: I was just going to say really good information and I will have links to those two resources: the saliva test and the book that Donielle mentioned at the show notes, Knowyourfoodpodcast.com/171. Donielle: I think that book was one of the first things I purchased after I realized how bad my adrenal fatigue was and there is some helpful advice on there. Wardee: I think we used to own that book. I think it was given to us by a naturopath, but I loaned it and I have no idea who, but it was a long time ago. I remember that quiz and I remembered the book, very clear reading, kind of mind blowing actually. Wardee: It makes a lot of things make sense. Let's continue on this path, unpacking this topic. I was reading at your site because you have articles, blog posts about your journey and things you have done in the past and keep doing about adrenal fatigue. You have brought up this genetic mutation, MTHFR. I don't want to spend a ton of time on it, but I at least want to touch on it because it seems to be related. Could you address that topic? Donielle: It's MTHFR and it's not a swear word. I first saw it on an infertility forum a long time ago, women saying they had this specific gene and I thought, “Wow, they really don't like this gene.” The scientific name for it is so long that everybody just shortens it to MTHFR. Basically, what it is is it's a genetic mutation. Most people actually carry this mutation. It does not always mean that it's active, which in the world of epigenetics, genes can turn on and off and depending on the stress we have been exposed to and our diets and the way we live, sometimes those mutated genes are never turned on. Other times there can be something that comes up where that genetic mutation is then turned on. It can cause more problems within the body. Donielle: Yes, all sorts of bodily functions and energy is one of the big ones. If we are not able to absorb or get in the B vitamins that we need, we are naturally going to just be tired. It also changes the way our bodies can detoxify, making those systems run almost at a slower pace. Of course, there is a couple different mutations. There are two different parts of that gene, so it depends on which part is mutated and then since we get half our DNA from dad and half our DNA from mom, sometimes only one side of it is a mutation and the other side is not. It all changes basically the effectiveness of certain aspects of our body. I only have one half of one of my genes is a mutation. Though that decreases some of my effectiveness down to 60% or 70%, whereas I know other people who have the double mutation and it can decrease those all the way down to 30%. Just because you have it, it does not mean it's going to be as bad as someone else or it's going to affect you in the same way it's going to affect someone else. One of the key issues with this mutation though is if you have the mutation, you cannot probably utilize folic acid at all. Folic acid is the synthetic version of folate and is in most over-the-counter vitamins. They add it to breads and cereals and to pastas. A lot of people are getting this folic acid and they are coming to find out that it's actually detrimental because if you cannot process it, it almost builds up. It's odd to talk about a vitamin harming somebody, but to someone who has these mutations really has to be careful in making sure they only get folate versions or whole food versions of the B vitamins, otherwise it can cause more problems. There is one great website called MTHFR.net that will actually list the differences between the two different mutations and different things you can do to help deal with them. Most of the time we are not going to change it. Granted with epigenetics, they say they cannot turn off, but a lot of times the people who struggle with it are going to end up dealing with it lifelong. They give different dietary and lifestyle changes you can make to help your body utilize the nutrients you are eating and to better detoxify and just get the system running back to where it should be. Wardee: Really quick, that sounds like a great resource. How do you get it? How do you get yourself tested if you have the genetic mutation or not or if you have half of it? Sometimes reproductive endocrinologists or any endocrinologists will be more apt to order them. There are also a couple of different websites now where you can order the genetic tests yourself. One of them is 23andme.com and this other one I just came across recently. They basically do the same thing. It's a saliva test, so basically they send you a vial. You spit in it. You send it back and it takes 6 weeks to get your results back and then you will be able to see what genes you have mutations on. It's more than just the MTHFR gene, but that is the one that a lot of people are getting those test to figure out. I think it's right around $100. Wardee: I will try to track down that other link or maybe you and I can get together by the time this podcast goes up and make sure that show notes are complete with links for everyone listening who is interested. That's Knowyourfoodpodcast.com/171, all right really good information. Now we get to the part of healing. I know you are loaded with tips for helping people overcome adrenal fatigue, so can we get right into some practical and/or important tips for healing? Donielle: Let's do it. Of course, the first one I always go back to is our food and the foods that we are eating. There is something with adrenal fatigue that makes us crave sugar and caffeine. One of the reasons is that sugar, it's great for quick energy. It's what the body uses it for. If we even think about seasonal foods, the seasonal foods we have in the summer, they had a higher sugar content, which we need for brain function. Our brains actually use sugar to function and our muscles. Our muscles use sugar to function. Though sometimes having those quick carbs or actually quick sources of energy is what keeps so many of us going through the day. In the long run though, unfortunately when we do it day after day after day, it's not just a one day thing, which our bodies can deal with. It's weeks or months of “Quick, grab the sugar,” or something quick that my body can use. It causes major insulin issues and dust makes the adrenal fatigue so much worse. Reducing your sugar consumption is huge for adrenal fatigue. I know it's one of the hardest things to do, but it also needs to be one of the first steps because a lot of times it does not matter what other all curative therapies into with other herbs, with other supplements, dealing with emotional through a therapy, if your food is not nourishing your body the way it needs, everything else is not going to be as active. Start with food and start with taking the sugar out. Wardee: Can we define the sugar? Are we talking white sugar, honey, maple syrup, natural sweeteners? Are we talking fruit? Are we even talking starchy foods like potatoes and breads? What does sugar encompass? Donielle: My idea of sugar is added sugar to things, white sugar, even honey, maple syrup to some extent. Right now I use honey and maple syrup and don't have any major issue with them, but for someone who really wants to get a handle on things we need to stop adding sugar to our food. I am fine with fruit, even most normal carbs, especially if they are properly prepared can be a benefit. I actually found when I took all grains and most starches out of my diet, it's made my adrenal fatigue worse. For me, I need some of those carbs from grains. It's just something that over the last 3 or 4 years I have experimented with and have found that serving your 2 grains a day is really beneficial for me. Without it I feel like I am going to crash. Some carbs are good. You just have to watch what type. I actually started reading a book called “The Adrenal Reset Diet” by Alan Christiansen and he recommends having carbs at night. You start your day with protein and fat-rich foods, more like the Paleo-primal type of lifestyle. Then as you go through the day, if you add a little bit of carbs with lunch and then you add a little bit more with dinner. He seems to think that helps with adrenal issues. I have not experienced this specific protocol yet, but a friend of mine did and she said she saw some benefit to it after a few weeks. Wardee: I want to say there is one person in our family that struggles with cortisol at the wrong time of day and sleep issues and that very thing has helped to have the carbs at the end of the day. Donielle: That's good to know. For me, my thoughts on it are carbs can be good, but of course, it always depends on the person. It's something that people need to experiment with and figure out what works for them. Wardee: Probably what amount works, too, because you could still go overboard either way. Donielle: Yes. We are talking about a serving of rice. Wardee: Not a whole bag of potato chips or a box of donuts, no, not talking about that. That was number one, food, especially sugar. Donielle: Number 2 is going to be to cut out the caffeine. Wardee: I knew that was coming. The problem with coffee when you are dealing with adrenal fatigue is it signals the brain that something is coming, like you need to run. It prepares the body for a fight or flight instinct and signals the adrenals to start producing the adrenaline and then there is nowhere for that adrenaline to go because most of us, if we are really honest, we have our cup of coffee and we sit down at a desk to work. Or we are not out doing the school work for our body to actually do something with all that adrenaline and that fight or flight instinct that's building up inside of it. As much as I love coffee, it had to go. If it's not something that people can give up right away, cut back to 1 cup a day. Make sure you have a solid breakfast and a whole glass of water before you have any coffee. Make sure you are drinking it with food so it lessens the caffeinated effects. Slowly reduce it, add more de-caffeinated coffee to it, try and get off of it over the course of a few weeks or a month if need be. I am not completely anti-coffee. A few cups a week is probably fine for most people, but if you are dealing with adrenal fatigue, it's really not fine at all. That was one thing that really helped me get over that hump and I almost had to set aside a couple of weeks when I cut out coffee. I thought, “These two weeks, I had to cut back on my schedule. I need to be able to be home more often because if I get tired in the middle of the afternoon, instead of grabbing a cup of coffee, I took a nap.” It really took a couple of weeks for my body to not rely on that the caffeine to push to do the next thing. Instead of taking a nap every day, only take a nap once or twice a week and then not at all, but definitely caffeine has to go. Wardee: I just want to add, we have a couple relevant resources for everyone at Traditional Cooking School. First is actually one of our most popular posts of 2016, which is a roundup of non-caffeine energy boosting drinks. You can search for that at Traditionalcookingschool.com. Also I will include a link in the show notes Knowyourfoodpodcast.com/171. The other thing is there is a great DIY herbal coffee blend that can actually help with detox and all kinds of things, help you with your hormones. It's not going to give you energy, but it can be a substitute that you enjoy drinking. It can help with healing. If you go back to podcast Knowyourfoodpodcast.com/125, you will hear more about that, plus there's a book with recipes. Great tips, Donielle, thank you. Donielle: There's a few other things that people can tweak just to help. There are different supplements you can take. There is a desiccated adrenal supplement. Multiple companies actually sell this. Basically, it's just dried … Usually I think is it bovine adrenal? But that was helpful for me in getting over adrenal fatigue. It helps support the system while you are working on other things, which I really needed because so often you are so exhausted and you are so tired. The last thing you want to do is make things harder and make cooking meals harder and doing all these massive changes. Having something just to help support that system while you are working on healing words is really helpful for me. Dr. Wilson, who wrote the Adrenal Fatigue book, he actually had a set of supplements that I ended up taking that I really liked. If someone has access to a chiropractor, usually chiropractor's sale a specific brand of supplements and you can get that type of stuff there as well. That's what I used when I first worked on adrenal fatigue with my chiropractor friends. Another good thing to take is Vitamin C because the adrenals really love vitamin C. Sometimes just supplementing with Vitamin C is helpful, using a good B vitamin, either whole foods or something that's listed as folate. You will also find supplements that have methyl folate, which is the best form, so your body converts the folate to methyl folate. You can find supplements that actually have that methyl folate in them. A lot of times that's really helpful for people. I found that B-12 was really what I needed to help sleep better. Within a few nights it had me sleeping so much better and my lab test had actually shown that I was slow in B-12, so my body definitely needed it. But that was probably the one supplement that I can say I saw a big difference in taking it now I don't take it very often at all. I don't find that I need it, but at that time I really did need it. I don't like to rely on supplements, but again when you are tired and you are exhausted sometimes you just can't think of the next step to take, so we need a life raft, if you will, to keep us afloat while we are working on things. Another thing I did that kept everyone in my house from taking my water once I started was adding salt to my water, a nice quality sea salt just for the extra minerals. Your adrenals need minerals to work and so often we don't get what we need. I was finding that even eating more traditional foods and eating a whole foods diet, because I was so tired I just was not going the extra step to making sure we had lots of vegetables, which vegetables are how we get a majority of the minerals that we eat. My diet was, it was whole foods, but it was the same. I just didn't have a lot of variety and I didn't have it in me to do it. I was probably quite deficient in many different minerals at that point and so adding sea salt to my water, especially in the morning seems to really be helpful. Then of course, getting in enough water as well, staying hydrated and not having my family drink my water was really helpful. Then I could see exactly how much I was drinking or not drinking at that time. Those are just a few things I started to do that put me on the path to full healing and got me feeling better within a few weeks where I could take that next step and I could work with my holistic doctor or my chiropractor and do that next thing to complete the healing. Wardee: Those are great basic tips and strategies for someone to overcome adrenal fatigue. I noticed you mentioned, you did mention supplementation there, like the folate, the B-12, the Vitamin C. Did you find, and may be this was when you started working more with your chiropractor or your other doctor, but are there any other herbs or supplements that people could consider to look into? Donielle: One of the other things to look at is the herbs that are called adaptogens. Wardee: I was going to ask that and then I was like, “Ah, I don't want to put her on the spot,” because we did not discuss this. Donielle: There are a lot of different adaptogens, so it depends on who it is and what urban is going to help them the best because what helps me might not help you. It's really best to look into all the different adaptogens, find one that fits you best or work with an herbalist or a holistic health practitioner that can't figure out what's going to work best for you. In one of the tinctures that I was taking, which one was it? Ashwagandha. It's hard for me to say that one specific thing helped because I was taking a multitude of different things all at one time, but herbal medicine and definitely can help support the body and change how things function. What's her name? I am totally blanking. There is an herbal OB/GYN that has an entire article … She has a podcast as well. She has an entire article that lists all of the different adaptogenic herbs and who might be a best fit for each one. I will send you that link so you can put it on the show notes, but that to me was really helpful because I could go through and match my symptoms and match what was going on and find the best one for me at that time. Wardee: I was wondering, now this is going to put you on the spot, but with the MTHFR genetic mutation, whether somebody is full or half or whatnot, in combination if they are facing that and that means they are not utilizing the B vitamins well, not detoxing well and the other things you mentioned, but if they were to incorporate adaptogens into their healing protocol might that not … I am just speculating, but isn't that one of the best courses of action for making MTHFR not such a huge factor because it's a genetic mutation and then adaptogens adapt? Donielle: Exactly, adaptogen herbs are adaptogenic herbs. They are meant to balance the body. I would absolutely love to see someone study that. Unfortunately, people don't study herbs that often. Yes, it would in theory help balance everything out and help the body to function better, even with a genetic mutation. Wardee: This has been such good information, Donielle. I really appreciate that you are so willing to share your personal story and your personal journey. It means so much more just to hear somebody say, “I tried this and this is important,” and even to share your struggles, like having to give up coffee and setting aside the time so you can do that or giving up sugar. It's just so wonderful that you are willing to share that, share your wisdom and your experience so I thank you very much for that. Donielle: While I'm sitting here, there is just 1 extra thing. I do talk about adrenal fatigue a lot and within the community I have on my website, it comes up a lot and when I have spoken in the past is so many people do all the dietary changes, the supplements. They basically follow the rules so to speak when it comes to adrenal fatigue, but they are not getting better. There is one missing element a lot of times in adrenal fatigue healing and that is dealing with either emotional trauma or lifestyle. Wardee: Behave all the time. Donielle: Moms are chronically stressed, but we have to try and figure out how to not necessarily change that stress, but change how we react to it. I still have not found a great way to do that. I am still struggling and learning and trying to go down that path for healing, but the way that we internalize stress can cause a profound impact on our physical health. Often a lot of times the emotional trauma or the stress happened in the past, but our body is still stuck. I was reading a book about anxiety a couple of years ago and she mentioned that the way we respond to things and react we have a hard time changing because all the neurotransmitters that we use, it's like a car on a road basically. We keep going down the same path until it's all rotted up and our body has a hard time getting out of that specific path. It's important that we stop and figure out exactly what is causing us that stress and whether it's an emotional issue that you can work with a therapist on or find a mentor or finding outside help for the house or dealing with issues with your husband. Often we carry those past burdens with us and we have to try and figure out ways to let them go and to find freedom in moving past those negative experiences we have had in our lives. It's then that I think it all comes full circle and you are able to get past the adrenal fatigue once you have dealt with dietary issues and lifestyle and sleep and then working on also the emotional aspect of it, so you can really just find that freedom to live a vibrant life basically. Wardee: I am so glad you brought that up. It's only been maybe in the last year, no, it's been a couple years, but I have just come to recognize that stress is so much more a factor in our health and wellness than most anybody talks about. If you are chronically under stress and you pointed out there are stresses in your life that you cannot fix. You cannot take them away, but you can change how you handle it. There are some stresses in your life you can change like a job or somebody that does not have to be in your life because you are not married to them or related to them but anyway … I think that stress with not handled well can literally re-infect us day after day after day and significantly impact our health. I really do believe that. I am going to point out for our listeners so I don't say anymore or take away from Donielle, but I talked about stress and my perspective on it and even the Bible tells us how to deal with stress, be anxious for nothing. It tells us to rejoice and take our request to God with thanksgiving. Those are very, very practical ways to handle things that are in our life that we cannot change. It helps us put our perspective in the right place. Without going any further, I just want to just point you to Knowyourfoodpodcast.com/161 where I talked about stress, getting away from it, being happy in spite of it, being healthy in spite of it so check that out. I am so glad you brought that up, Donielle because you can just like you said. You can be doing all the right things and still not getting well because you are in a job or you have trauma or you are not handling the normal challenges of life, you … I am not talking you, I am talking about every one of us are not dealing with it well. Wardee: We are letting it get to us. We are giving it to power over us and our health, is set of intentionally not choosing to go there or not letting it get to us or taking it to God in prayer instead of stewing and worrying about it or working too hard to overcome it when we are powerless to change it. There are so many different ways that we do the wrong thing when it comes to stress. Wardee: Well, let's wrap up. Do you have anything else you want to share or recommend before we do? Donielle: I don't think so. I think that was the last little thing I had in my heart that I needed to get out. Wardee: I am so glad you did. I think that was the highlight of this whole session we have had. Let me just wrap up by saying again thank you to you, Donielle. 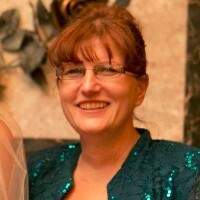 Everyone, you can find Donielle at Naturalfertilityandwellness.com. You can also refer to when she was a guest on KYF #8 talking about fertility in particular. We have mentioned a lot of links and resources in this podcast. You will find them linked at Knowyourfoodpodcast.com/171, which is the show notes. Thanks Donielle and God bless, everyone. Donielle from Natural Fertility and Wellness believes that so much more can be done to better our reproductive health so that women might conceive and carry healthy babies. She was once quite happy and comfortable living a very conventional life, but began to look at things very differently when she had to stare fertility challenges right in the face. She believes food is the foundation for health and fertility. And that alternative therapies can be just as, or more, effective than conventional medical treatments, as well as work with conventional treatments when necessary. She is an advocate for natural living, doing what she can to keep toxins out of her home and environment. She's also become very passionate about eating real/whole foods as she feels it’s the key to our fertility and future health of our children. Donielle is the author of the book “Naturally Knocked Up” and she was my guest on episode #8 of this podcast to talk about that… go back to that oldie but goodie for more information on fertility. Oh wow. Just this morning I had my first appointment with a naturopath. The leading issue was hypothyroidism, but she nailed the adrenals and prescribed a diet and supplements (some of which Donielle mentioned) to help strengthen them. So grateful for this confirmation! I also have MTHFR. The MTHFR mutation can cause miscarriages because it has the potential to create elevated homocysteine levels — which in turn can cause blood clotting. If clots form within the umbilical cord, the baby’s source of oxygen and nutrition is cut off. Since it’s estimated that 40% of the population has MTHFR (most without knowing it), it might be wise if women wanting to conceive took the methylated (bio-available) forms of folate and B-12 just to be on the safe side! Also, the website Donielle mentioned (www.mthfr.net). I was so grateful for the information there when diagnosed with MTHFR a few years ago. I am so glad that you are addressing Adrenal Fatigue! I have been dealing with this for more than 35 years and seriously, Donielle and I would have a lot to talk about!! I believe the more severe the damage, the longer it takes to recover. I am on year 10 in my recovery, but the first 6 years had been spent trying to figure out what to do-I am glad holistic medicine is getting a better handle on it now. Even though Dr Wilson’s book was published in 2001, we didn’t hear much about it from other sources. I am glad there is more info now. Keep up the great things you both do to help us live healthier and happier lives! Donielle is spot on! I have had severe adrenal fatigue, after agreeing to adopt three difficult-to- place boys, ages 2,3, and 4. A month later my husband was deployed for 1 and a half years. It was the most difficult thing I have ever done! I took bovine adrenal support, ashwaghanda, and Vitamin C, B vitamins, but the most important thing–was changing how I dealt with stress. I had to really get serious about my relationship with Jesus Christ, and meditate on scriptures such as Isaiah 26:3, and Isaiah 41:10, and be in His word daily. I had to ACTIVELY place my faith in God every day to get me through. I still do, because we still have three difficult-to-parent boys, which are now 17, 15, and 14 (the eldest just had a birthday). But I do it for Jesus, who loved me when I was unlovely, and adopted me into His family. He has taught me sooo much through these boys! Lessons I would not have otherwise learned. They are a blessing! Is adrenal fatigue common in men as well? Donielle mentioned dealing with the emotional trauma. One thing that is working well for our family is R.E.T. We interviewed people before we chose some one to work with. We feel it is important to have someone who understand how important faith in God is and can council with us on that level as well. Yes, it is very common in men. The book that’s linked in the podcast applies to both men and women. I have been through most of the protocol. I am mostly healed now, just trying to overcome my duodenal ulcer now as I feel that is the main last obstacle to my health. In my case, I retook my childhood vaccines, and this caused a 13 year chronic diarrhea cycle. Gut damage specifically from vaccines. I was 41. Retook my vaccines to get into nursing school, ironically. My first symptom was burning feet. Within a year after graduating, on my feet 12 hour days. so blamed my shoes at first, felt like there was a tablespoon of sand in them or various lumps in them. But I would take them off and there was nothing. So that was my B12 deficiency beginning, from chronic diarrhea. I KNEW the diarrhea was going to cause problems, and I feared it and I sought online ( nursing class was very out of date and deficient in real information). I found some patients were much better educated than the nursing school so when I found these folks, I picked their brains and embedded their knowledge. One of these people is Janie Bowthorpe , host of stopthethyroidmadness, and she has a section on adrenal- Thyroid and adrenal work together and unfortunately go down together, so know you will need to support both. Adrenals need the B complex in high doses and vitamin C, as early research in the 19 teens showed that adrenals were damaged from B complex deficiency. B complex deficiency damaged the gut also, causing bruising and ulceration. The thyroid needs of course iodine and Dr Wallach brought to the world’s attention, selenium.